In contrast with Cyprus, a lack of political will among Greece’s political parties and appetite for cooperation has kept the country locked in a painful bailout programme, experts have warned. EURACTIV Greece reports. At an event organised yesterday (23 March) by the Secretariat of International Relations, the centre-right New Democracy Party (ND) and the Democratic Rally of Cyprus (DISY-EPP affiliated), policy-makers and experts showed off the “good practices” that Cyprus implemented in order to get out of its crisis, as well as shocking figures about the Greek economy. 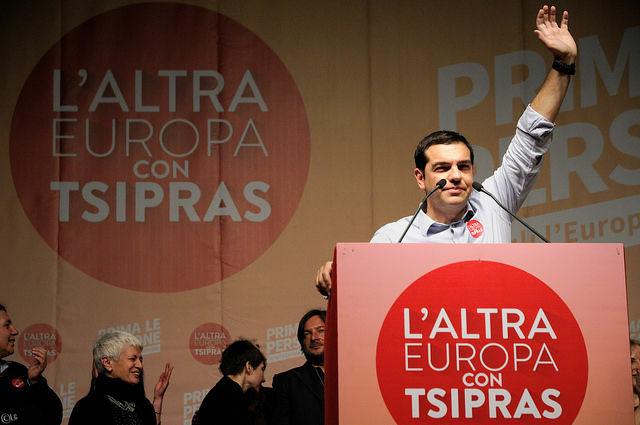 Greece’s GDP was reduced from €242 billion at the beginning of the crisis to €175 billion: a 27% decrease. Moreover, during the crisis, investments decreased by 65%, salaries dropped by 29% and employees lost €40 billion over seven years. Greek Prime Minister Alexis Tsipras sent yesterday (23 March) a letter to European Commission President Jean-Claude Juncker asking if the bloc’s acquis communautaire applies to all EU countries without exception or it’s applicable to all except Greece. Giannis Smyrlis, ND’s secretary of international relations and the EU, told euractiv.gr that “the case of Cyprus has some good practices that need to be highlighted and suggested as solutions without magic sticks […] real solutions that have been tried and succeed and could be implemented in Greece as well”. Following a series of structural changes such as a restriction of the public sector through a scale-back in recruitment and balanced budgets, Nicosia managed to successfully emerge from its bailout programme earlier than expected in April 2016. Secretary of the Cabinet of Cyprus Theodosis Tsiolas elaborated on the measures taken by his country and the subsequent initiatives of the Cypriot government. Experts noted that the most important measure was the support of small and medium enterprises (SMEs), which have been granted €125 million up to 2020 from the European Investment Bank and other funds from the European Reconstruction and Development Bank. Marios Tsakis, a representative of the Cyprus Chamber of Commerce and Industry, said that the growth rate is now positive and stood at 2.8% in 2016. Regarding the banking sector, investments worth €1.4 billion took place, €4 billion was raised from a program providing permanent residence permit and large investments were being implemented with the participation of foreign investors mainly in the tourism sector. Vasilis Korkidis, president of the National Confederation of Greek Commerce, warned that Athens remained locked in the crisis. 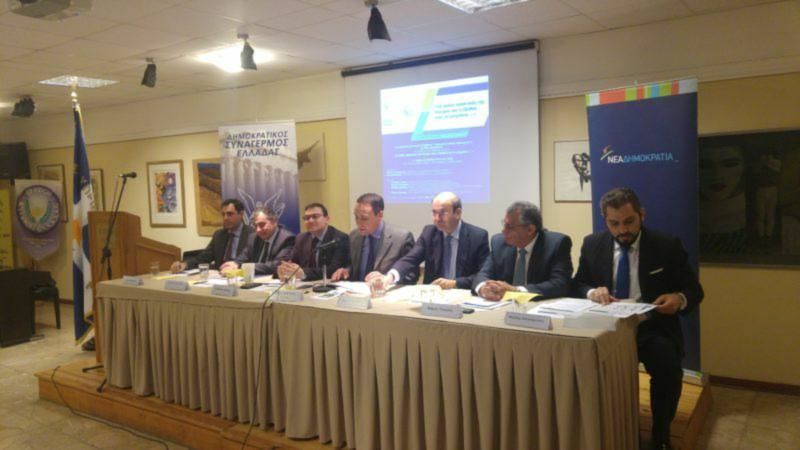 He told EURACTIV that since the entrance and exit from the Memorandum of Understanding there have been eight important dates and events in Cyprus. In comparison, “in Greece, during these seven years in the memorandum we have 118 important dates with events, which unfortunately have not brought any results,” he noted. He stressed that in Cyprus there was a political will to achieve consensus and cooperation between the parties, something which is not the case in Greece. 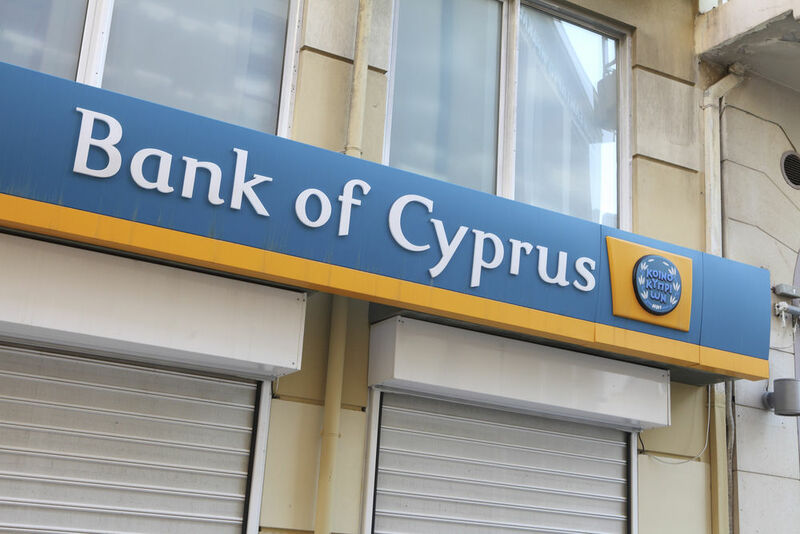 Bank of Cyprus, the Mediterranean island’s largest lender and one of the largest casualties of the financial crisis, yesterday (5 December) announced it had paid back in full the €11.4 billion in Emergency Liquidity Assistance it received in an international bailout. New Democracy Vice President Costis Hatzidakis said that Greece had “penalized” the private sector and entrepreneurship. “The idea we can invest without investors, entrepreneurs without employees and results without work, has prevailed,” he told EURACTIV. Asked if his party would vote for new measures in the parliament as Greece’s creditors demand, he replied negatively and added that the “only solution to end the crisis is the shift toward gravity and common sense”. On the one side we discuss that disagreement with political parties has made it worst for people and the economy. On the other hand we still see that New Democracy is suggesting that only élections will save the situation. Greek politicians should be ashamed. http://www.dw.com/en/probe-into-german-greek-arms-deals-reveals-murky-side-of-defense-sales/a-5890375 .Has Germany been helping the Greek citizens , or profiteering from their suffering ?